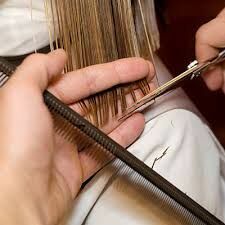 Start the summer off with a trim to get rid of any dry or damaged ends. Avoid shampooing your hair every day. 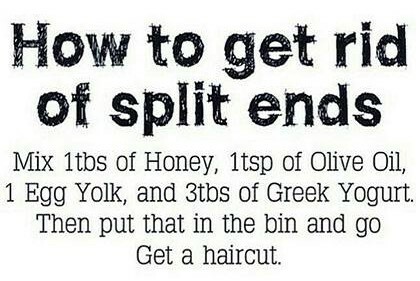 This tip isn’t only for summer hair care, but all year around, really. It’s just more important now. Try spritzing with a little water and blow-drying upside down for one minute, using the coolest setting on your blow dryer. When you do wash your hair, use shampoos and conditioners that are sulfate-free and contain moisture and/or protein to strengthen your hair from the inside out. Remember that most brands at the grocery store are detergent-based and have a very high pH, as well as sulfates for lathering that drive color and moisture out of the hair. Always consult with your hairstylist as to what products to be using. The girls behind the counter at Sephora know NOTHING about your hair. Ask me about my 50% refill program… It’s a great way to get really awesome products for wholesale price. Avoid excessive heat. Limit the use of your curling iron or flat iron. Imagine hot metal on your fragile hair! Opt for tying your hair back and using accessories to spice up your style. Follow my Pinterest board, Easy Hair, for extra inspiration! Blowdry correctly. 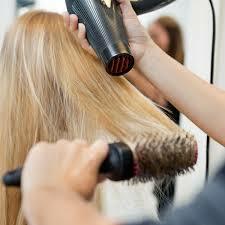 As soon as your hair is about 50% dry, switch to the cool setting on your blow dryer. It’s actually better for your hair to dry quickly under cool conditions than letting it air dry. When your hair is wet, there are water molecules under the outer scale layer of your hair. These keratin scales are lifted up by the water molecules and if left to dry in that position, lead to frizz and unprotected hair. By blowdrying your hair on COOL, with the dryer’s nozzle ALWAYS POINTED DOWN your hair shaft, your hair will be much, much shinier and smoother than with any other technique. Plus, it will be more sealed to the elements. An essential summer hair care tip is to protect it from chlorine and salt water. Use a good clarifying shampoo after a swim. To help minimize absorption of chlorine and salt, wet your hair down with clean water and spray with a light detangler to fill in porous areas of your hair BEFORE jumping into the pool or ocean . 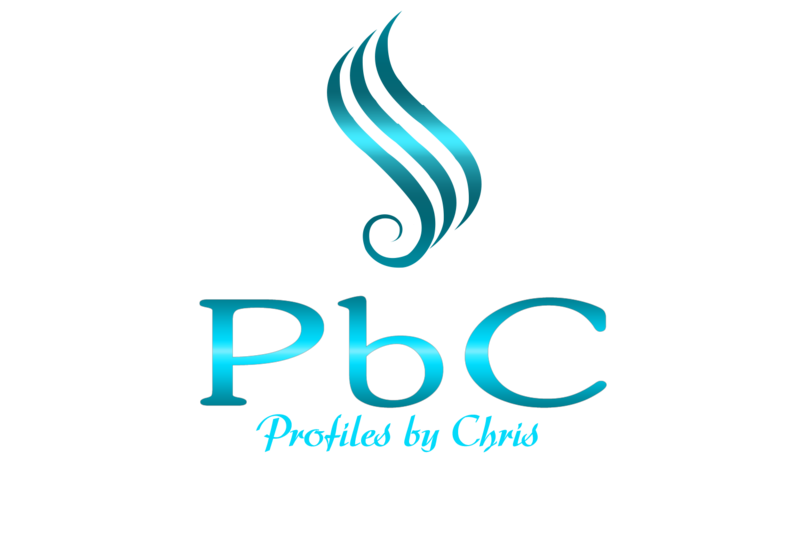 Your hair will be less likely to grab onto salts and chlorine. Caution when wet! Your hair is extremely fragile when it’s wet because it stretches. The very last thing you want to do is break it, which leads to frizzy, fuzzy-looking hair. ALWAYS use a detangler and a wide-tooth comb for longer hair and tie it back with cloth-covered bands, never rubber bands. Use a hair sunscreen. UV rays damage your hair and bleach out your color. It’s important for your summer hair care regimine to protect your color until your next color service, use a few sprays of sunscreen daily, and take extra with you if you are going to the pool or beach. You also may want to experiment with cute scarves or hats for when your exposure to the sun will be the greatest. PureOlogy’s Colour Fanatic is a great spray that doesn’t weigh hair down and provides many more protective qualities than just a UV inhibitor. 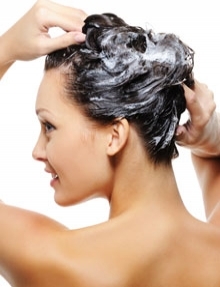 Once a week, it is imperative to give your hair a deep-conditioning treatment. Choose either moisturizing or strengthening, depending on what your hair requires. Again, ask your stylist for a recommendation. There are 6 different masks by PureOlogy that will fit anyone’s need. Wrap a towel around your head to keep in heat and boost the moisturizing power of the conditioner. Even 5 minutes of conditioning is extremely beneficial. Summer hair care doesn’t have to be a challenge. It’s just being a little more cautious about the environmental stresses that come our way this time of year… As always, if you have any questions at all, just let me know! I’ll do my best to answer them!